Sony Mobile is expected to ship 50 million Xperia smartphones next year, and pull off that ambitious growth by turning to Taiwan-based original device manufacturers, according to a DigiTimes source. "[Foxconn] is currently the largest ODM for Sony Mobile, followed by Arima and Compal," an industry source told the Taiwanese site. "The three ODMs may receive up to 20 million smartphone [of the 50 million] orders from Sony Mobile in 2013." 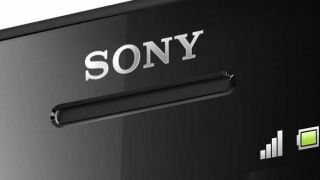 The source was unnamed, but the statements back up a previous report that indicated Sony is expecting 50 percent year on year growth for its Xperia line. Sony Mobile will ship 35 million smartphones by the end of this year, estimated the same source. This would represent a 50 percent increase from last year, but that might not be enough to leave the company in the black. "[Sony] is still unlikely to swing back to profitability in the year," according to the industry talker. This may be due in part to the additional scale and high fixed costs that Sony had to incur after it acquired Ericsson's stake in Sony Ericsson. Outsourcing almost half of its Xperia line to Taiwan could reverse that trend, and Sony has already put the plan into motion. Foxconn began making low-cost Xperia smartphones in the third quarter of this year, and Arima and Compal will take on similar duties by the second half of 2013, according to DigiTimes. How Sony Mobile is able to create enough demand to warrant shipping 50 million smartphones is the big question. The company's Xperia S and Xperia T were well reviewed, and T (and the U.S. variant, the Xperia TL) has some star power behind it. Both the Xperia T and the TL are featured in the new Bond flick, Skyfall, ensuring that it'll peak the interest of 007-wannabes everywhere. It also doesn't hurt that both the Xperia T and the TX models are receiving feature upgrades this week. But the real question mark lies with the long-rumored Sony Odin and its just-as-unconfirmed 5-inch WhiteMagic display. That may be the key to Sony's 50 million smartphone target.